Decorate your space with high-polish dazzle! 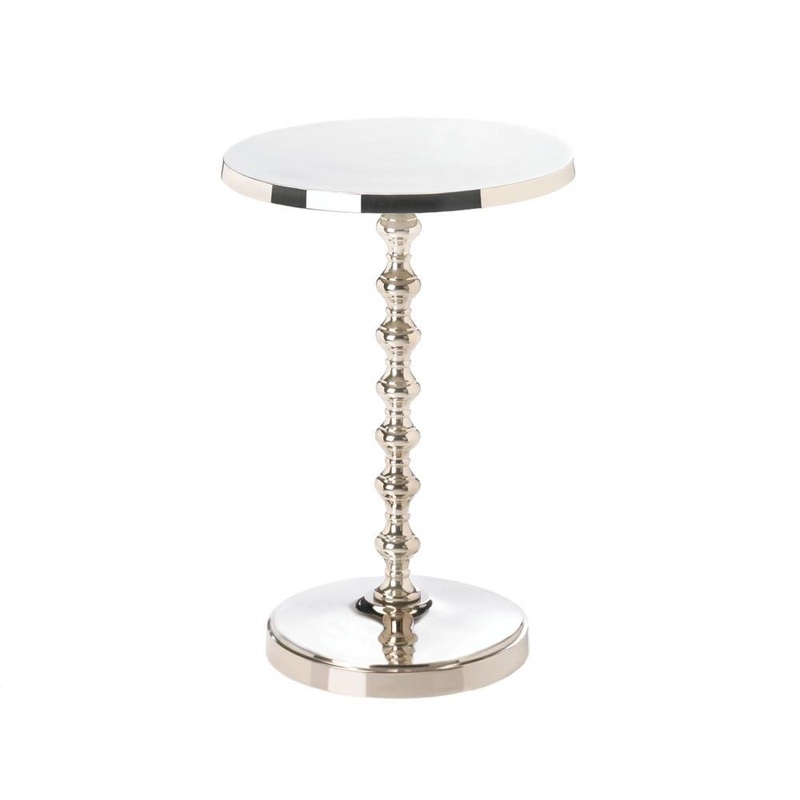 This fabulous and functional aluminum table has a sleek round top that's held up by a beautiful turned stem and circular base. It's a glamorous addition for your bedside, living room and beyond.Weight 6.6 pounds. 15" x 15" x 20.5". Aluminum. UPC Number: 849179028220.